I spent some down time today scouring through old Sunset, Cooking Light, and Rachael Ray magazines and found some very yummy things to try this coming week. Check it out. Monday: Beef Kebabs with Roasted Green Beans and Almonds. Tuesday: Stir-Fried Shrimp Scampi. I’ll make a simple green salad to go with. Wednesday: Cider-Braised Pork with Harvest Vegetables. 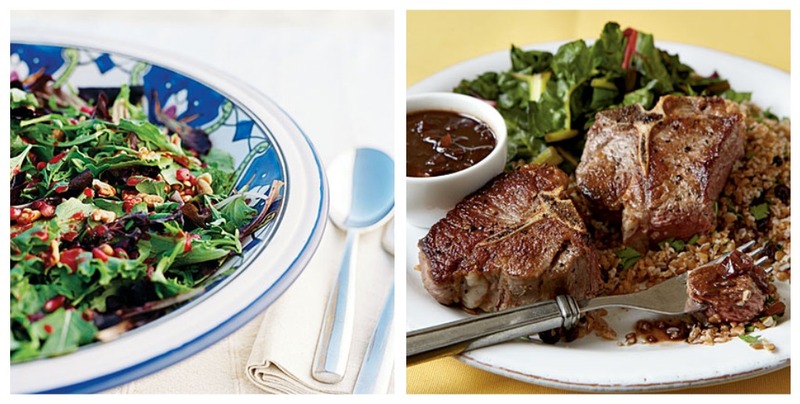 Friday: Seared Lamb with Balsamic Sauce and Fall Salad with Nuts and Pomegranates. And for our treat this week? This, in all of its non-Paleo glory. 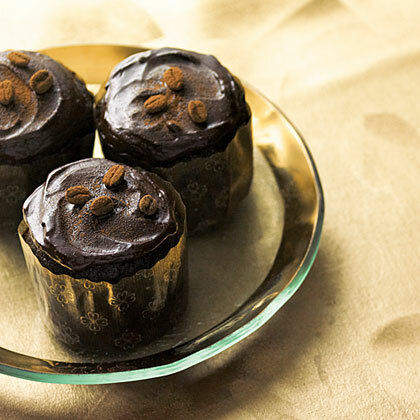 Chocolate Espresso Cakes. Sorry peeps. I gotta have an insulin spike day at some point, yes? And for an added bonus, I’m thinking this, without the ciabatta rolls, for breakfast on Saturday morning. Yum. Oh. 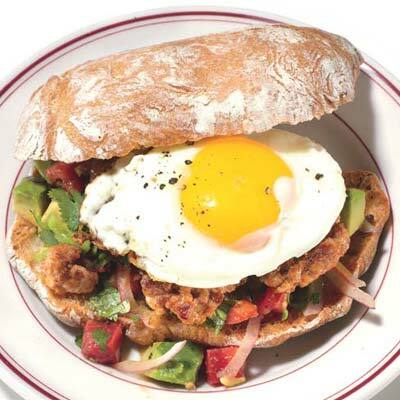 Chorizo and Fried Egg Sandwiches. 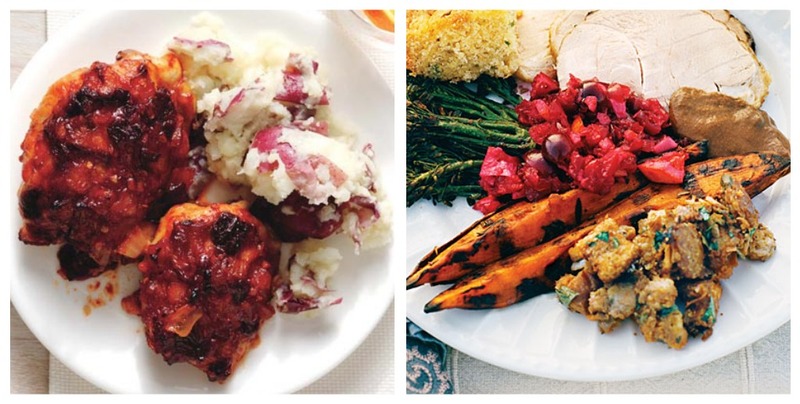 All photos and recipes are courtesy of the websites noted. Please click each recipe name to find the recipe.